In our technology-saturated, constantly changing world, some things endure for generations. 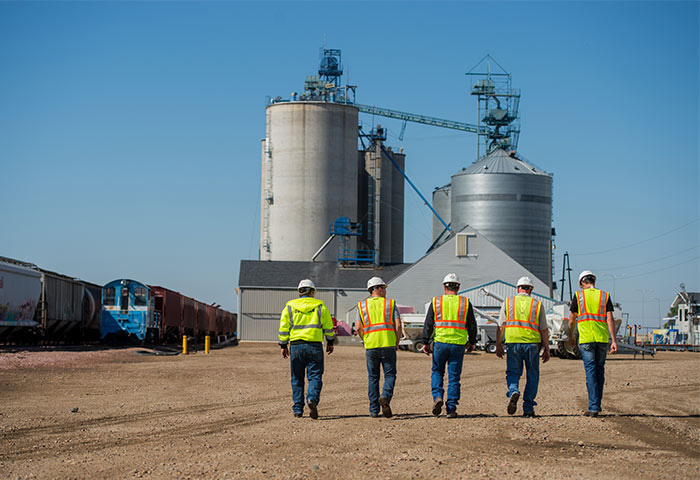 At Agtegra Cooperative, we are deeply committed to exceeding the expectations of our customers through innovation, integrity, superior service, a focus on meeting current needs while preparing for future needs, the value of progressive leadership — and above all else, a commitment to safety. Our comprehensive benefits program is designed to help you live a better life. Put yourself on the right path to good health by choosing well. We offer benefit plans and tools that can help you and your family improve your physical, financial, and personal health. This total health approach to benefits provides you with many resources to help you in all aspects of life, and through all life’s stages. 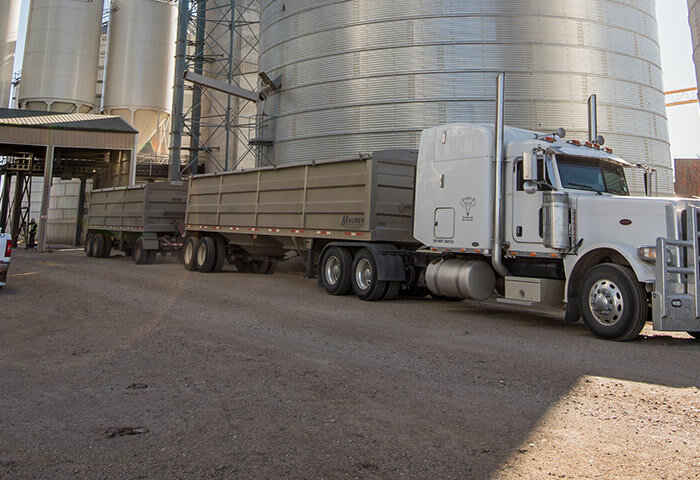 Be a part of the best team in the agricultural industry who is dedicated and committed to help our member-owners succeed. We have open positions throughout Agtegra country. The Agtegra Internship program proudly offers a variety of intern experiences. 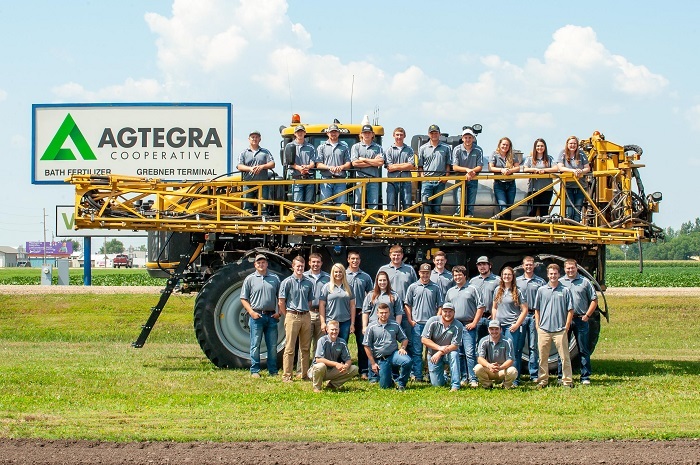 Whether you’re interested in crop scouting, grain analysis, custom application, bookkeeping or sales opportunities – you’ll find valuable education and experiences at Agtegra! Agtegra is looking for passionate, driven, and future-oriented leaders that are willing to step up to the plate and meet the high demand of our growing and changing industry. Agtegra will be offering 4 scholarships throughout the year in the amount of $500 each. Scholarships will be distributed quarterly in the months of November, January, March, and May. To qualify, students must be in the graduating class of 2019, active members of a South Dakota or North Dakota FFA chapter, and entering a full-time undergraduate agricultural degree program at a 2 or 4 year post-secondary institution located in the states of South Dakota or North Dakota. Recipients will have the opportunity to shadow someone at Agtegra Cooperative in their area of interest. The Company’s commitment to equal employment opportunity extends to providing reasonable accommodations for qualified disabled employees and applicants, in accordance with the Americans with Disabilities Act. Applicants who require an accommodation throughout the application and interview process should request this in advance. Additional testing of job related skills may be required prior to employment. If you feel that you have been discriminated against during the application process, contact the Human Resources Department at (605) 225-5500. Agtegra is an equal opportunity employer and will not discriminate against any applicant for employment because of race, color, creed, religion, national origin, gender, disability, age, marital status, genetic information, military/veteran status, gender identity/transgender status, and pregnancy, childbirth or related medical conditions, status with regard to public assistance or any other characteristic protected by law. The Company’s commitment to equal employment opportunity extends to providing reasonable accommodations for qualified disabled employees and applicants, in accordance with the Americans with Disabilities Act. Applicants who require an accommodation throughout the application and interview process should request this in advance. Additional testing of job related skills may be required prior to employment. If you feel that you have been discriminated against during the application process, contact the Human Resources Department at (605) 225-5500. The recruitment process at Agtegra is managed through the Human Resources department. For candidates to be considered, they must be presented through our Agtegra Human Resources department. Recruiters are not to contact any Agtegra employees or managers directly in an attempt to present candidates. To protect the interests of all parties involved, Agtegra requires a signed contract to be in place before the presentation of any candidates. Agtegra does not accept unsolicited resumes from staffing vendors, including recruitment agencies and/or search firms, and does not pay fees to any such vendors without a current contract on file. Agtegra does not accept unsolicited resumes from any source other than directly from candidates and will not pay a fee for any unsolicited resumes. Any recruitment agency interested in presenting a candidate to Agtegra should forward their information to jobs@agtegra.com. Once your information is received, we will let you know if we are interested in pursuing the candidate. Thank you for your interest in doing business with Agtegra. 1. Click on a current opening for job description and duties.